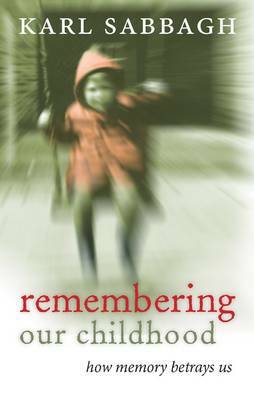 In this fascinating and sometimes disturbing book, the well-known writer Karl Sabbagh looks at psychologists' present understanding of the nature of memory, especially recollections of childhood, and how, in cases of so-called 'recovered memories', the unreliability and flexibility of memory has led to tragic consequences, destroying the lives of whole families. All of us have memories of childhood - that special trip to the fair, or impressions, such as dappled sunlight through rustling leaves seen from the pram. Some people firmly believe that they can recall scenes from the time they were babies. But what does science tell us about the nature of memory, and memories of childhood? In the first part of this book, Sabbagh begins gently with examples he has collected from many interviews of earliest memories, and goes on to look at psychologists' and neuroscientists' understanding of memory. It becomes clear that, whatever individuals might claim, memories of the first two years or so of our lives are simply not accessible to us, while later memories are fragile, yielding to suggestion and our inclination towards a neat story. All too often, our 'memory' of an event arises from what we have been told by a relative. The book then turns to darker territory. A casual remark by a child at a nursery leads to detailed and suggestive questioning of a number of children, resulting in the arrest of a teacher accused of child abuse. She was subsequently released. Some patients with eating and mood disorders undergoing therapy have come to believe, or have been led to believe by the therapist, that their problems stem from being sexually abused as a child - memories allegedly repressed and only 'recovered' under the guidance of the therapist. Such claims have again resulted in wrongful arrest, subsequently overturned, though the damage done to the families is irreparable. Sabbagh has interviewed the distinguished psychologist Elizabeth Loftus and others involved in blowing the whistle on the 'recovered memory' movement. Throughout, the book is full of quotations from interviews and extracts from transcribed interviews presented at court, making this a powerful and vivid account. While other books have been written on the dangers of the concept of recovered memory, Sabbagh here puts the story in the wider perspective of our growing scientific understanding of memory, and argues strongly for the critical role of scientific evidence in cases involving the memory of witnesses.